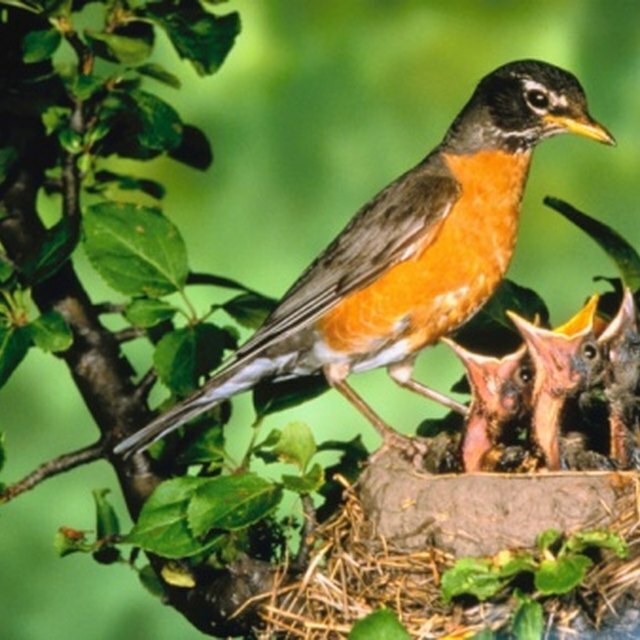 What Are Traits of the Robin? Though folks often incorrectly use the term "buzzard" to refer to New World vultures belonging to the family Cathartidae, scientists apply the term to members of the family Accipitridae, genus Buteo, the buzzard hawks. 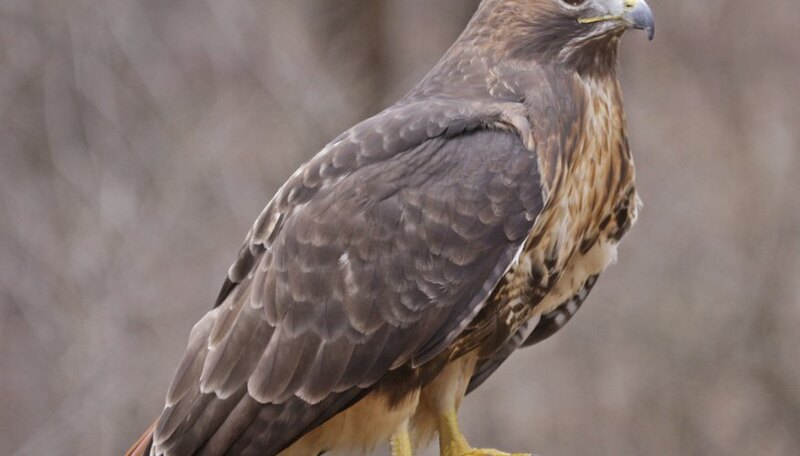 The most common North American buzzard is the red-tailed hawk, but other familiar species include the swainson's hawk and red-shouldered hawk. Buzzards are birds of prey that use keen eyesight to hunt small mammals, birds, reptiles and insects. The typical Buteo proportions include very broad, rounded wings and short, wide tails. Wingspans among the different buzzard hawk species range from 3 to 4.5 feet. The females are larger than their male counterparts. Red-tailed hawks are usually rich- to pale-brown in color, with a streaked belly and a tail ranging from pale red to cinnamon. From a distance, they resemble turkey vultures. Red-shouldered hawks are somewhat smaller, with a banded tail and warm brown barring on their undersides. Swainson's hawks have dark-edged wings and a dark chest. Buzzard hawks tend to soar in wide circles high above fields on the lookout for prey. They have a heavy wingbeat and often hover without flapping when winds are strong. They attack their prey in a slow diving motion and grasp the victims with their leg talons. Red-shouldered hawks hunt for prey in forests, as do the broad-winged hawks. Cooper's hawk will often raid bird feeders -- seeking smaller birds, not bird seed. In many species, the male Buteo builds the nest and provides all the food for the female and chicks. Buteos often spend the summer months in North America and then migrate as far south as Patagonia for the winter. In addition to living in forests and open fields, different species occupy open foothills, desert mountains and Arctic coastline. The buzzard hawks normally nest in trees, yuccas or ravine cliffs, building nests out of sticks and moss and raising two to four eggs, often spotted. The female rough-legged hawk lays up to six eggs, which have a blotchy appearance. Cooper's Hawks have been known to hold small birds underwater to drown them, and they also are devotees of dove meat. Two species of Buteo, the rough-legged hawk and the ferruginous rough–legged hawk, have leg feathers all the way down to their toes. When red-tailed hawks court, the male will swoop down from above, sometimes locking talons with the female and setting the pair plunging toward the ground in a spiral before pulling out of their dive. Bank,, Eric. "Facts About Buzzards." Sciencing, https://sciencing.com/buzzards-5108208.html. 24 April 2017.